Independent Schools Show, Balham Festive Shopping Pop-Up and 11+ Mock Exams: Your What's On activity guide from NappyValleyNet! Independent Schools Show, Balham Festive Shopping Pop-Up and 11+ Mock Exams: Your What's On activity guide from NappyValleyNet! You are here: Home > Latest Reviews & Features > Independent Schools Show, Balham Festive Shopping Pop-Up and 11+ Mock Exams: Your What’s On activity guide from NappyValleyNet! Independent Schools Show, Balham Festive Shopping Pop-Up and 11+ Mock Exams: Your What’s On activity guide from NappyValleyNet! Welcome to your weekly What’s On activity guide from NappyValleyNet! Bonfire Night, tick. Halloween, tick. Harvest Festival, tick. With all the autumnal celebrations behind us, we look forward and there it is: Christmas. The countdown has begun in earnest with lots of posts about festive sales, yuletide entertainment and Christmas clubs. We love feeling festive before the panic sets in. Take each day as it comes and enjoy the moment (read more). If you’re on the move, we can’t imagine you’d want to live anywhere other than here, so look no further than our property pages with all the homes for sale and to rent in the area together with school catchments all mapped out (read more). 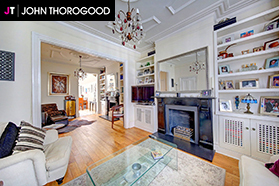 For rent with John Thorogood and available from mid-December, is a 5-bedroom house close to Northcote Road and Wandsworth Common and within the likely catchments of Belleville and Honeywell primaries, bright and spacious with a south-facing garden (read more). 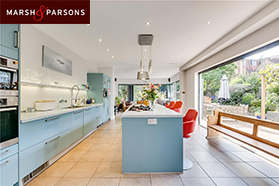 For sale with Marsh & Parsons is a unique 6-bedroom end-of-terrace family home with impressive proportions overlooking Tooting Bec Common, stretching to over 3,300 sq ft with an open-plan kitchen dining area opening onto a south-facing garden, plus a garage (read more). 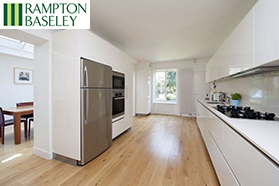 For rent with Rampton Baseley is a 5-double bedroom house with over 2,300 sq ft set ‘Between the Commons’, with plenty of space for family life as well as entertaining, plus a cellar, utility room, storage space for bikes and a pretty landscaped patio garden (read more). 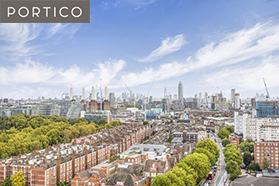 For sale with Portico is a 3-bedroom 2-bathroom spacious duplex penthouse apartment close to Battersea Park and with incredible views, with two private roof terraces and use of a communal pool, gym, squash courts, garden and concierge service (read more). Work it, work it, workshops.. Tomorrow sees the Parent Practice’s Raising Girls workshop, looking at Connecting with your Daughter – The Power of Words (read more). And for those with boys, it’s your turn the following week at Raising Boys: Understanding boy world and helping boys to thrive in it (read more). The Landmark Arts Centre runs a regular Saturday art session for those aged 5 and up to get to grips with everything from drawing and painting to printing and collage (read more). There’s an 11+ Mock Exam with Exceptional Academics at Belleville this Saturday (read more). And 7+, 8+ and 11+ Mocks with Yellowbird Education in Parsons Green on Sunday (read more). First Aid for Life runs one-day Weekday Paediatric First Aid Courses ideal for anyone who works with, looks after or lives with children. Know what to do in an emergency (read more). Or if weekends are better for you, maybe with a few friends or your partner, then First Aid for Life’s Weekend Paediatric Course is the one to choose (read more). Another workshop, The Parent Trap – boosting mama’s financial mojo, is on at the Virgin Money Lounge and run by Bubele and She’s On the Money, designed to empower women to make the most of their finances, especially after having children (read more). Wimbledon Art Open Studios Weekend is coming up soon, the chance to explore two buildings, eight floors and 150 studios, browsing and buying for your own walls or unique presents (read more). At the Finton House Winter Pop-Up you’ll find all sorts of shopping, fab food and delicious drink (read more). Huddle at the Unicorn Theatre tells the tale of Mr Penguin who must guard his eggs and then look after his new born chick, an engaging and highly visual show for 2 to 5 year olds (read more). The Mum Club Breakfast Club is in Battersea next week, the chance for new mums or mums-to-be to get together over a healthy breakfast (read more). The next Bach to Baby in the neighbourhood is in Putney. Take time out to let the music wash over you while the little ones snooze or roam and revel in the wonder of live music (read more). School open days – the next ten days.. The Independent Schools Show is on in Battersea Park this weekend with over 200 schools represented. A great place to start your school planning without having to travel far and wide, with Q&A sessions and seminars for plenty of thought-provoking debate. Book your free tickets in advance (read more). Dulwich College Middle School Open Afternoon (booking required) (read more). Alleyn’s Junior School Open Event (read more). Wandsworth Prep School Open Day (read more). Dulwich College Lower School Visits (booking required) (read more). The Roche School Open Day (read more). DLD College London (read more). We’ve got a lovely new batch of exclusive NappyValleyNet offers and competitions. You might like to win dinner for two at The Dairy thanks to Plus Rooms or a set of 50 personalised cards from Pemberley Fox, or how about making the most of 20% off with Artfinder or snapping up a free oven with a handmade kitchen from Bellevue Bespoke. The choice, as they say, is yours (read more). Check out our weekly email list here!